HP is the most popular brand of laptop I see around campus, but does that mean that they are the best? HP laptops get very mixed reviews around the web - some of the negative comments come from biased customers with bad experiences from HP's desktop line. Other negative reviews are completely software related, meaning that many HP owner's problems may be their own fault, or even a Windows operating system issue for that matter. Let's take a quick peek at the range of laptops HP has to offer, and then compare them to the average college student's needs. Tiny, almost hand-held "laptops". 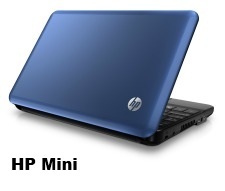 Though they don't come right out and say it on their website, the HP mini is a netbook. These HP laptops have 10.1" to 11.6" screens, wireless capabilities, a long battery life, and can almost fit in your back pocket (sarcasm). Portability is obviously the draw here. What the Mini lacks is under the hood. The HP Mini series, like other netbooks of its class, does not have a DVD/CD drive. It also comes standard with less memory, less hard drive space, and Windows 7 starter edition. You can pick up an HP Mini retail for around $300-$400. 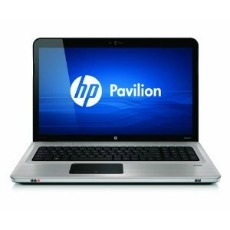 The Pavilions are the mid-range HP laptops. Mid-range is actually a very broad range however for HP. The Pavilion submodels can come equipped with displays ranging from 11.6" to 17.3" - there is definitely a gap in performance as well. The "portable" HP Pavilions come equipped with more memory, better graphics card than the Mini, and the full home version of Windows 7. While they claim on their website a 10 hour battery life (the same as the Mini), when you run higher powered hardware your battery is going to drain faster. The higher-powered Pavilions get slightly faster processors, way more memory and hard drive space, a 6-hour battery life, and decent enough graphics cards for gaming. **College Student Tips - Need a DVD/CD drive? Want to play PC games every now and then? Need HDMI and more USB slots? Then definitely upgrade to a Pavilion from the HP Mini. These HP laptops are the "standard norm" for the lowest price you can find on a quality brand. I just hope you never have to call HP's customer service! The Envy line of laptops is HP's powerhouse computers. People who want fluent graphics, quick processing, and ability to play PC games and run high-end graphics software will want to look into these. Though they cost quite a bit more than the Pavilion ($1,000 to $1,600 retail), the upgraded hardware would be worth it for some. 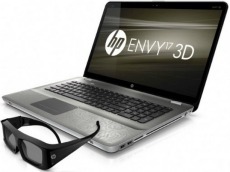 The Envy's display sizes run between 14.5" and 17.3". The Envy 17 even has a sub series that supports 3D display. On top of the graphics power being boosted, the sound hardware and quality also has an upgrade over the Pavilion line. As for the battery life, don't plan on using the Envy unplugged for very long. This isn't a hit against HP however - all laptops running substantial hardware don't carry a very long battery life. Hardware and size make it heavy. Not suitable for travel. 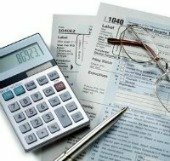 **College Student Tips - The Envy is for graphics enthusiasts...or maybe just people who don't mind dropping the extra coin for faster processing. From a student's point of view, there is little reason to spend the extra $500 compared to the Pavilion series. If you're an avid gamer or your classes require software that demands high-resource computing power, then I suppose the Envy would be a logical choice.